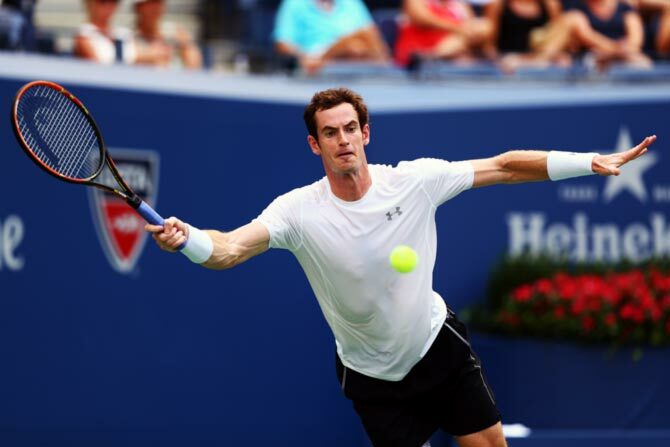 Rediff.com » Sports » Murray is dedicated to Davis Cup and how! Murray is dedicated to Davis Cup and how! Andy Murray's dedication to the Davis Cup has proved invaluable to the British team, but it may also rob the ATP Tour Finals of one of it's biggest draws this year. The 28-year-old has performed heroics in helping Britain to its first Davis Cup final for 37 years, winning both his singles and a doubles to guide the team past Australia in last weekend's semi-final in Glasgow. The final will be played in Belgium from Nov 27-29 -- just a few days after the ATP's season-finale at London's O2 Arena for which Murray has already sealed one of the eight spots up for grabs. 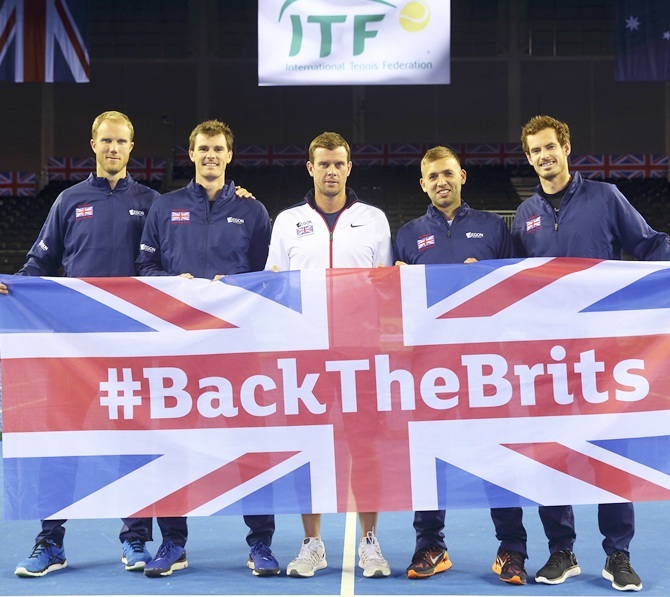 Winning the ATP's showpiece would normally be a priority for Murray, especially as he is yet to do it, but his priorities will now be on helping Britain win the Davis Cup for the first time since 1936. To complicate matters further, Belgium are likely to choose an indoor clay surface, hoping to nullify the effect of world number three Murray who favours hard courts. "The O2 would obviously be a question mark for me if we were playing on the clay," Murray told BBC Radio 5. "If you reach the final (of the O2 event) and play on the Sunday, you also need to take time off -- you can't just play five matches against the best players in the world and then not take any days off." Roger Federer faced a similar predicament last year when he played in London just a few days before trying to win his first Davis Cup title with Switzerland in France. Federer arrived in Lille exhausted and nursing a back injury that meant he had to withdraw from the ATP Tour finals title decider against Novak Djokovic. He ended up losing easily to Gael Monfils in the second singles, before recovering to win the doubles with Stanislas Wawrinka and his second singles against Richard Gasquet. Murray complained of back pains during the tie against Australia and the transition from a hard surface to clay has always proved problematic for the Scot. "I need more time on the clay to let my back get used to it," he said. Belgium are yet to name the venue and surface for the final but a clay court inside the Flanders Expo Arena in Ghent is the likely choice. Is Beckham's 16-year marriage on the rocks? PHOTOS: Shah Rukh beats Saina Nehwal in badminton!